How do you update all the npm dependencies store in the package.json file, to their latest version available? When you install a package using npm install <packagename>, the latest available version of the package is downloaded and put in the node_modules folder, and a corresponding entry is added to the package.json and package-lock.json files that are present in your current folder. 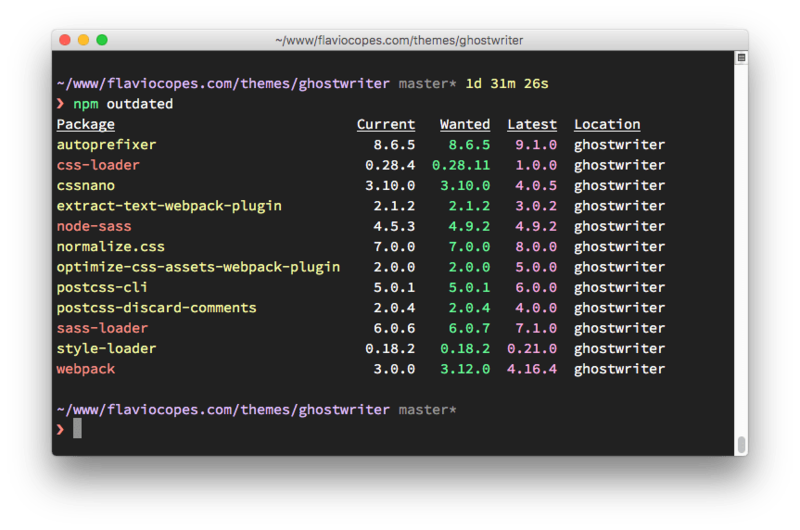 npm calculates the dependencies and installs the latest available version of those as well. Let’s say you install cowsay, a cool command line tool that lets you make a cow say things. Now those 2 files tell us that we installed version 1.3.1 of cowsay, and our rule for updates is ^1.3.1, which for the npm versioning rules means that npm can update to patch and minor releases: 0.13.1, 0.14.0 and so on. If there is a new minor or patch release and we type npm update, the installed version is updated, and the package-lock.json file diligently filled with the new version. To discover new releases of the packages, you run npm outdated. Some of those updates are major releases. Running npm update won’t update the version of those. Major releases are never updated in this way because they (by definition) introduce breaking changes, and npm want to save you trouble. this will upgrade all the version hints in the package.json file, to dependencies and devDependencies, so npm can install the new major version.